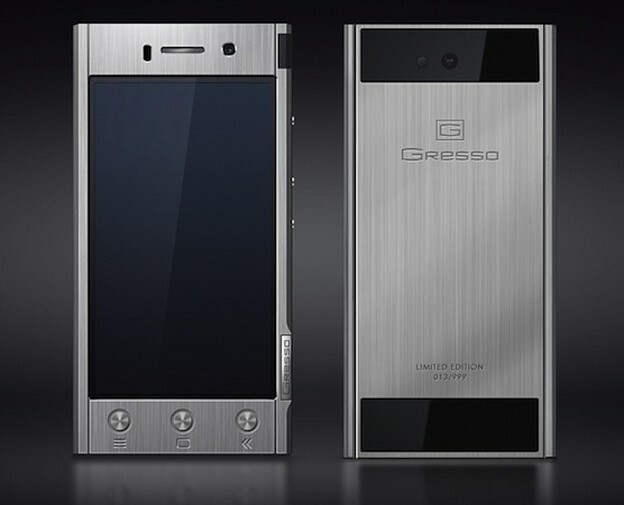 Manufacturer of luxury phones Gresso has launched a titanium android smartphone. You might have already heard of the luxury phone manufacturer Gresso, who “dressed” iPhones in diamonds and sell them at a price of $3,000. This time the company launches its Android phone, which will be produced in a limited series called Radical R1, whose entire platform is made of titanium grade 5, and will be sold at a price of $1,800. They say that the company intended this phone for business people who appreciate the strength and stability, what comes with this titanium android smartphone. In addition to the basic model, Gresso will also offer a version that will own an additional plate with the logo of 18 karat yellow gold, the price of this one will be $2,300. As far as the technical characteristics of the device itself, they really are not too impressive as we would expect from such exclusive gadgets. Powered by a 1.2 GHz quad-core processor, runs on Android 4.1.2, and has 36 GB of internal memory, support for dual SIM, 8 MP rear camera and 4.5-inch qHD (960 × 540) screen. If you’re interested, you’ll have to hurry, because they will produce only 999 copies.